Portable Antiquity Collecting and Heritage Issues: Militant Destruction of Cultural Property and "Clickbait"
Militant Destruction of Cultural Property and "Clickbait"
the Islamic State’s destruction of historical monuments was motivated less by twisted ideology than a far simpler craving for attention.[...] Confronted with Isil’s viral iconoclasm, experts who monitor the destruction have debated how to respond. Some have elected to stop sharing information with the public, fearing the attention will only fuel further destruction. [...] Others, [...] argue that we are naïve to think that self-censorship will stop Isil’s heritage destruction; the silence of experts will leave only only the terrorists speaking. [...] As members of the media, we must cover iconoclasm without becoming complicit in their crimes by spreading Isil propaganda uncritically, especially on social media. When we do use their images, we should clearly label them as propaganda, not treat them as news images. 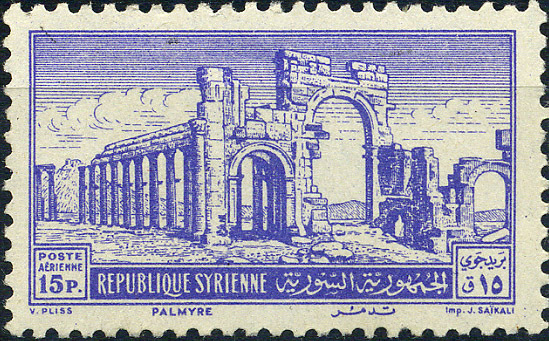 And as tragic as the loss of historical sites like Palmyra may be, we should not let it outshine the plight of Syrian civilians. We have a model for this path: it was done successfully after Isil began broadcasting videos of hostage beheadings. After the killing of American journalist James Foley spread across the internet in August 2014, media organisations, experts, social media companies and the general public voluntarily stopped the spread of subsequent beheading videos. They soon lost their power for Isil. By January 2015, with its propaganda efforts flagging, Isil abandoned the staged executions and began its campaign of spectacular destruction of archaeological sites. Those in turn stopped when Isil launched coordinated terror attacks first in Paris and now Brussels. Looking back, we should have been as reluctant to spread images of the choreographed destruction of heritage as we were of humans. I am really in two minds about this argument. I can see their point, by sharing the images and expressing horror, we are giving the people doing these things the satisfaction of seeing that something they have done produces an effect, people are paying attention to them, their five minutes of fame. On the other hand, making available the evidence for what was done prevents rumours being spread about the scale of the damage. It seems many people were expecting the whole of Palmyra (for example) or the whole of the tell at Nimrud, or the entire city at Hatra or Nineveh to have been "destroyed" (completely) by the demonised group. I think it important that we have a proper idea of what tasks face up when this horror is over and we can get around to working (hopefully together) to make some progress in repairing the damage. What will be needed? Where will the money come from? To plan ahead we need to know what the damage is or is likely to be and establish (now) priorities, working plans, establish contacts and so on. We cannot do that if the moment some of the evidence needed which may help is suppressed and deleted as soon as possible with as few people seeing it as possible. Here is also the point that the more international outrage there is, the greater the pressure for the persons responsible to be identified, caught, tried and punished. Some people in Tadmor may know the names of the people doing this. There needs to be strong pressure on the new governoors of the city to bring these people to justice. The wider public not talking about, not having a clear impression of these atrocities (or any of the others) is rather going to let that task be pushed aside in the light of all the other tasks on the road to recovery ahead for the inhabitants of Tadmor. I do hope one of the unspoken reasons for not sharing these images is that it may help to 'radicalise' young Moslems in the west, and encourage them to do something similar. I know quite a few Moslems in my own country who are aghast at what is happening to the heritage in the Middle East and wish, like the rest of us, that it would stop. Finally, it is a bit ironic that this comment appears in the Art Newspaper, for it is the art (sic) trade which has been particularly keen to publicise the destruction of the cultural heritage by Islamist militants in order to shock and justify what they themselves are doing under the pretence that they are "saving" the "art". ADCAEA are you listening?